Through its Big Ideas Stewardship Funding Model, NSF would commit $30 million to each of six research-focused Big Ideas, for a total of $180 million. Those Big Ideas are: Harnessing the Data Revolution (HDR); The Future of Work at the Human Technology Frontier (FW-HTF); Windows on the Universe (WoU): The Era of Multi-messenger Astrophysics; The Quantum Leap (QL): Leading the Next Quantum Revolution; Understanding the Rules of Life (URoL): Predicting Phenotype; and Navigating the New Arctic (NNA). The budget request also calls for NSF to invest $60 million in two Convergence Accelerators — new vehicles to leverage resources across the agency to support the most innovative science, pursuant to the HDR and FW-HTF Big Ideas. The remaining four Big Ideas, which focus on enhancing processes and practices to improve U.S. science and engineering, are emphasized in the budget request as well. This emphasis includes $20 million for NSF INCLUDES, which focuses on creating networks to broaden participation in science, technology, engineering and mathematics (STEM). The Antarctic Infrastructure Modernization for Science (AIMS) construction project would receive $103.7 million. NSF manages all U.S. activities on the continent as a single, integrated program, making Antarctic research possible for scientists supported by NSF and other U.S. agencies. s while ensuring preservation of individual privacy and usability. NSF Innovation Corps (I-Corps™), which works to bridge the gap between discoveries and commercialization of technologies, would receive $30 million. CyberCorps®: Scholarship for Service, which supports cybersecurity education and research at higher education institutions, would receive $55 million and engage undergraduate students, with a focus on veterans. NSF's annual budget would represent approximately 27 percent of the total federal budget for basic research conducted at U.S. colleges and universities — 60 percent when medical research supported by the National Institutes of Health is excluded. Q. What would be NSF's overall budget under the President's FY2019 budget request? A. NSF would receive $7.47 billion, steady with the total that Congress enacted in FY2017 for the agency. Q. Why is this total different from a lower total that was released Feb. 12, 2018? A. After the Office of Management and Budget completed the FY2019 budget request, Congress reached an agreement known as the Bipartisan Budget Act of 2018, raising federal discretionary spending caps in FY2018 and FY2019. An addendum to the President's FY2019 budget request includes additional funding for a limited set of Administration priorities. NSF was included in these priorities. Q. What's different about this budget request compared to previous NSF budgets? Harnessing the Data Revolution (HDR). The Future of Work at the Human Technology Frontier (FW-HTF). Windows on the Universe (WoU): The Era of Multi-messenger Astrophysics. The Quantum Leap (QL): Leading the Next Quantum Revolution. Understanding the Rules of Life (URoL): Predicting Phenotype. Navigating the New Arctic (NNA). NSF would also initiate two Convergence Accelerators, new vehicles to leverage resources across the agency to support the most innovative science. NSF would invest $60 million in FY2019 into Convergence Accelerators pursuant to the HDR and FW-HTF Big Ideas. In addition to that investment, NSF would expect to catalyze an additional $40 million in investment by external partners, including the private sector, other federal agencies and international funders. The remaining four Big Ideas, which focus on enhancing processes and practices to improve U.S. science and engineering, are emphasized in the budget request as well. Q. How will the Big Ideas and Convergence Accelerators affect funding levels for existing NSF programs? A. 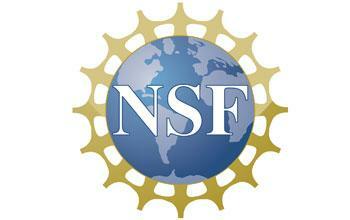 Increasingly, collaboration and convergence are necessary to achieving NSF's mission. The Big Ideas and the Convergence Accelerators NSF would prioritize in FY2019 are prime examples of this. NSF must leverage innovation across all supported fields of research to remain at the frontiers of science and engineering. NSF's investment in the Big Ideas and Convergence Accelerators is not a zero-sum game. The fundamental research underlying the Big Ideas has been supported through many NSF programs for a number of years, and in some cases, for decades. This budget request is a reflection of the changing model of science and engineering research today, which defies existing stovepipe thinking and encourages innovative approaches to research through leveraging resources across all fields of science. NSF will continue planning budget levels for individual programs when the final FY2019 budget is passed. Q. Why would NSF make this kind of change in its budgeting, given that the agency would receive level funding under this budget request and not an increase? A. NSF's support for the Big Ideas and the Convergence Accelerators reflects the agency's ongoing commitment to being on the cutting-edge of research. Collaboration and convergence are required across NSF in order to achieve the agency's mission and support the maximum number of researchers, regardless of the budget level. Q. The budget request would use funding from NSF's Major Research Equipment and Facilities Construction (MREFC) account to construct two Regional Class Research Vessels (RCRVs). How will this affect other projects funded through that account? A. All current projects within the MREFC account would be fully funded at the requested levels. Q. What level of investment will NSF make in the Antarctic Infrastructure Modernization for Science (AIMS) construction project under the President's FY2019 budget request? A. AIMS funding for the FY 2019 Request would be $103.7 million. The AIMS project aligns with the Administration's FY 2019 Modernizing and Managing Research Infrastructure R&D budget priority. AIMS will enable faster, more streamlined logistical and science support by co-locating or consolidating warehousing, skilled trades work and field science. The AIMS project is a pivotal component of the master plan to replace major facilities at McMurdo Station, the largest Antarctic station. McMurdo station's main purpose is to support field science in Antarctica including activities at Amundsen-Scott South Pole Station. The master plan would allow it to meet anticipated science support requirements for the next 30 to 50 years.